The wealthy French lawyer Louis Chavel was one of thirty-two prisoners-of-war held captive by the Germans in occupied France. When a German officer informed the prisoners that they must choose from among themselves one from every ten men in the group to be executed the following morning, the men agreed to draw lots to decide the three who would die. They drew scraps of paper and those with a piece bearing a scribbled cross knew they would be sent to their death. The ones with the cross generally took the fatal news with a mix of quiet shock and somber resignation. Chavel, however, became hysterical as he pleaded for his life. He promised to hand over the entirety of his significant fortune to any cellmate who was willing to take his place. Janvier, a man of modest social standing and financial means, decided to take the lawyer up on his offer, for the sheer satisfaction of dying a wealthy man and leaving his family with a legacy. Greene is economical, yet effective with his language and imagery in this book. The brief scene where the condemned man, the night before his execution, asks Chavel to describe to him the family estate that is now his, and which he will never see nor enjoy, is moving in its simplicity. As darkness falls over the cell, Chavel describes to Janvier the walnut, plum and apple trees, the study, drawing room and living room. It dawned on Chavel that he had saved his life in a physical sense, but in fact lost everything. After liberation from German occupation and his release from captivity, Chavel becomes “Charlot” and he realizes, as he roams the streets of Paris in tattered clothing, that nothing remains of his old life; he has only 300 francs to his name, no human connections and is devoid of hope. The novel explores how, in a sense, Charlot is a dead man walking. He makes his way to his old estate to find Janvier’s sister and mother living there, both thoroughly out of place in their grand new surroundings. Posing as Charlot and as a former cellmate of both Janvier and Chavel, he is hired to perform odd jobs, in exchange for being allowed to live in the house. It is here that Charlot discovers that his fateful decision while in captivity may have ended not only one life, but two. Janvier’s sister, Thérèse, is filled with a visceral hate for Chavel and wants nothing more than to confront him in person. That hate killed her Catholic faith and keeps her from attending Mass. The irony of it all is that while the man responsible for the death of her brother may yet die in a state of grace and enjoy eternal life, she would likely die in a state of mortal sin and face damnation. The weight of what happened that fateful night in prison is not lost on the former lawyer. 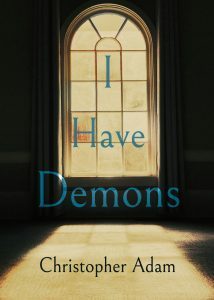 Displacement is a central theme in Greene’s novel. The story unfolds against the backdrop of soldiers and displaced persons wandering France destitute after occupation and a country badly scarred by war. In one particularly powerful scene, we read: “All over France men were picking their way home, from prison camps, from hiding places, from foreign parts. 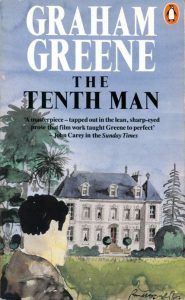 If one had possessed a God’s view of France, one would have detected constant movement of tiny grains moving like dust across a floor shaped like a map.” Though The Tenth Man is a much slimmer and simpler story than some of the other literary works from Greene that I have read, notably The Heart of the Matter and Brighton Rock, the hallmark elements of his style and key themes are very much present: a protagonist facing a deep dilemma of conscience, a feeling of being out of place and a crisis of Catholic faith.